Are you moving? Is your old mattress worn out? Maybe you are upgrading your child’s bed? There are a lot of good reasons to buy a new mattress. As you search for the perfect mattress one important factor to keep in mind is mattress size. You want to find a size that is comfortable for you, but also fits in the space you have. It may be tempting to invest in a king sized mattress, but you have to find out if it will fit in your home. Mattresses come in standard sizes, but manufacturers do not always stick to those sizes. As a result, mattress sizes can vary up to 2 inches in the width and length. Be sure to measure your living space as well as the hallways, doorways and stairwells you will have to move the mattress through before you buy it. Then bring your measuring tape with you as you shop and make sure the mattress will fit. King sized mattresses are ideal for families. It may seem like a lot of space for two people, but kids and pets can fill it up quickly. It also offers a little extra space when either sleeper moves around a lot. If you need more length than width, consider a California king mattress. They are four inches longer and four inches narrower than regular king sized mattresses. Twin sized mattresses are great for kids. They fit nicely into small bedrooms and provide plenty of sleeping space for a child. However, if you are expecting this mattress to last through your child’s teenage years, you may want to consider a full sized bed or a XL twin. A full sized bed will offer more width while remaining the same length as a twin, which according to The Better Sleep Council is 75 inches. An XL twin is only 38 inches wide but offers a few extra inches of length if you are trying to accommodate someone tall without taking up too much space. Most dorm rooms use XL twin sized mattresses. Daybeds are also a great choice for children and guest rooms. They provide a comfortable sleeping space without taking up too much space. When you choose your mattress size you need to know how much space you have to work with and how much space you need to sleep. You end up with an irregularly sized mattress. It may be a few inches thicker or thinner than standard mattresses and it may vary in width and height. If you have trouble finding bedding that fits your mattress, Cozytown Linens offers custom linens. They can help you find bedding that will fit just right for a comfortable night of sleep. 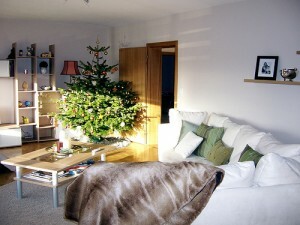 The holidays are a time when many people host overnight guests. Whether it’s family, friends, or acquaintances passing through, there are a few simple steps you can take to avoid burnout and make your guests feel at home. Place fresh sheets and extra blankets on your guest’s bed. Sheets that fit well will make an air mattress or sofa bed more comfortable. Make sure the guest has some privacy and is allowed to go to sleep at a reasonable time, especially if they are not sleeping in an individual bedroom. Set out towels and a washcloth on the bed so they are easy to find. Joyful Abode suggests providing an alarm clock, Kleenex and a trash can in the room where your guest is staying. It is also thoughtful to provide a few simple toiletries, such as toothpaste and shampoo, that your guest may have forgotten. A few magazines or short books are also a nice touch. Making your guest feel relaxed and at home can be difficult. Simple Mom recommends letting your guest help when they ask “what can I do?” Allow them to lend a hand with the cooking, fill drink glasses or play with the kids. Letting your guest pitch in a little will help them feel relaxed and provide you with needed help. You do not have to be an early riser even if your guest is. Set out some light breakfast items like muffins or bagels and coffee or tea on the counter, advises Simple Mom. Then your guest can eat and relax in the morning and you don’t have to rush to get out of bed. 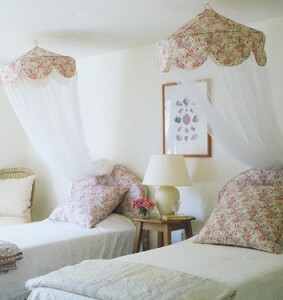 Southern Living also suggests placing a few snacks and bottles of water in your guest’s room. When they need a late night or early morning snack they won’t have to leave their room. Your guests are there because they enjoy spending time with you. Be relaxed and welcoming. Don’t stress about the small stuff. Your house doesn’t need to be perfect. A few thoughtful touches are all your guest needs to feel at home. If you are nervous and on edge your guest will be too. Remember having a guest should be fun. Take time to enjoy your friends and family and show them you care about them. Many people will try just about anything to lose weight or keep weight off. Most people turn to diet and exercise to ward off weight gain, but getting enough sleep may be a significant factor. 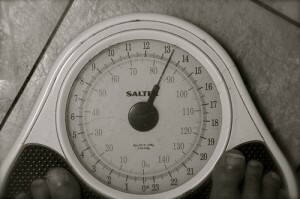 Scientists are discovering there may be several connections between the amount of time a person spends sleeping and weight gain. A recent study by Amanda Gardner, from Health.com showed that people who slept for nine or more hours per night were less susceptible to genetic weight gain than those who slept less. The study looked at twins who had identical or very similar genetic makeup and were raised in the same household, learning similar eating and exercising habits. The study showed that “getting adequate sleep” appears to dampen genetic risk and allow the influence of diet, exercise, and other controllable lifestyle factors to ‘surface’.” So, if excessive weight gain runs in your family, it is likely that diet and exercise will be more effective for you if you regularly sleep for a full night. Another study performed by John Easton from the Chicago Chronicleshows the physiological effects of sleep loss. Over the course of several days 11 healthy young men slept only 4 hours a night for several days, then they slept several days for 12 hours each night. Towards the end of the days of sleep deprivation the subjects were not able to process glucose normally. The study stated “When tested during the height of their sleep debt, subjects took 40 percent longer than normal to regulate their blood-sugar levels following an injection of glucose. Their ability to secrete insulin decreased by about 30 percent. A similar decrease in acute insulin response is an early marker of diabetes.” The subjects also showed signs of increased cortisol levels, which are typically associated with age and memory loss. Fortunately, the glucose tolerance test results returned to normal following the nights of 12 hours of sleep. With many people becoming busier and busier, sleep is often neglected. It is easy to justify skipping out on a few hours of sleep to get one more thing done. But it appears sleep may be just as essential to your health as a well balanced diet and plenty of exercise. Consistent sleep deprivation may make you more susceptible to weight gain, and diabetes. In order to stay healthy and fit, plan to sleep at least nine hours a night. If you can’t do it every now and then, that’s ok, you can make it up by sleeping a little more on a different night or napping. But, don’t routinely deprive yourself of sleep.